Learning is on every channel with Scout’s Learning Lights Remote™ role-play toy. 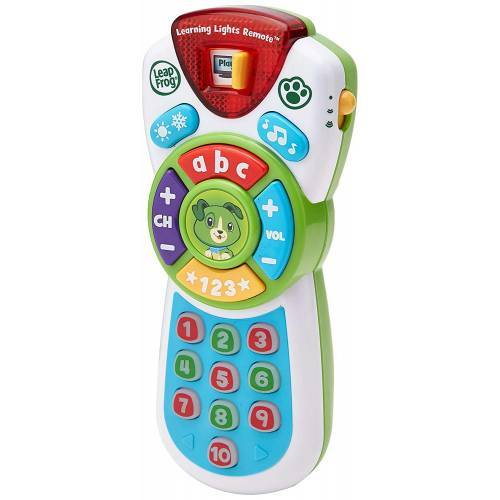 Explore all 17 buttons on the learning remote to hear more than 100 phrases, sounds and music while building fine motor skills. Flip between modes for role-play excitement or learning activities that introduce numbers and letters. Silly pretend channels inspire imaginative play. Switch to the French channel to hear common French phrases, listen and dance to three different music styles on the music channel and hear rain, snow and wind sound effects on the weather channel.